Is it Really Christmas in July? 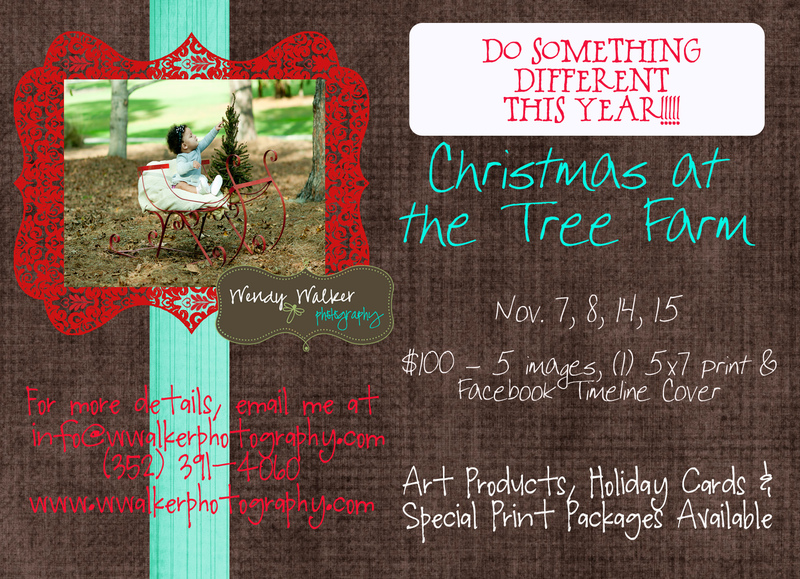 I’m super excited about this mini-session as it’s brand new this year!!! The location will be Santa’s Christmas Tree Forest in Eustis. It’s out in the country and it’s a beautiful farm!!! You can also come back and either chop down your tree (how cool is that?) or buy one of their North Carolina Frasier Firs (my favorite!). I will then send you an invoice on paypal for the deposit of $50. This will hold your day. Times will be given as we get closer. The remaining balance will be due two weeks prior to your scheduled day. This makes it super easy, so we don’t have to deal with this part of it on the actual day of your session. If you do not have paypal, please note that and I will send you my address so you can mail me a check. That’s all there is to it! I’m so excited about this session! Wait until you see the props I am bringing!!! !